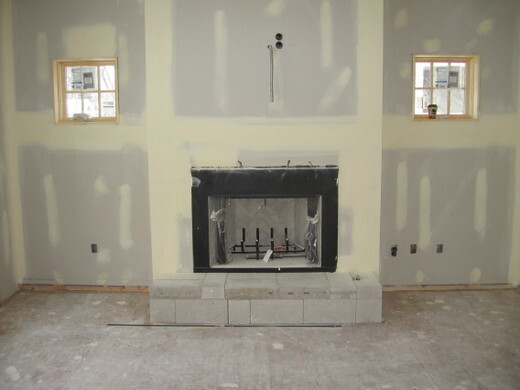 When renovating or installing a fireplace, homeowners should be aware of the many options they have and planning required for each type of option. For example, it’s possible that your fireplace will be used in an air conditioned home in Scottsdale, Ariz. mainly for aesthetic purposes since it rarely gets cold enough in Scottsdale to require a blazing fire. Plus, the owners have envisioned the fireplace area as a place to place pictures of family and other treasured heirlooms. 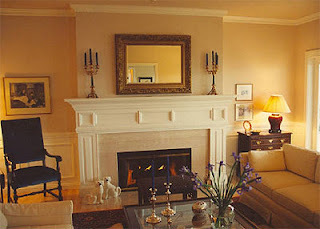 As the fire place is to be used primarily for aesthetic purposes, an enclosed or other kind of has supplied or fire log fed fireplace will do fine, even if it is not what people who live near ski resorts would think of as a “real fireplace.” A real fireplace used to warm the home brings the potential for real danger and each year in the U.S. thousands of homes are destroyed by careless fireplace fires or chimney fires. So before planning a renovation, ask yourself how much of the purpose of the fireplace is decorative and how much functional. How many irreplaceable valuables do you want near the fireplace. Check your homeowners policy for any provisions against loss for accidental loss due to fireplace malfunction, and language regarding the effect of comparative negligence on the part of the homeowner if a fire causes loss of personal property. If tackling an installation for the first time, make sure your project is up to code. Otherwise, failure to maintain a proper fireplace could impair your ability to recover under your policy should a fire result. Also, determine right away whether you intend to be the installer of the project, or whether you would rather hire out to a contractor the choice of a system, i.e., wood burning, gas heating, or whether you have the skills to do the job yourself. If this is your first experience with installation of an HVAC system of any kind, figure in the time and effort necessary to get up to speed, and whether you necessarily want your first such project to be the family fireplace. On the other hand, someone who is handy and used to working with systems around the home, whether they be electrical plumbing and the like, might find fireplace installation right up their alley. If you’re a DIY, check with the local authorities, including homeowner associations and city county licensing types to make sure you are installing something that is up to code so that you don’t run into problems later on. To avoid chimney fires, keep the chimney swept at least once annually. In a wood burning fire place, creosote and soot can combine into a combustible coating that can be lit by a spark and a subsequent chimney fire. The upward air draft inside the chimney supplies oxygen to the fire, so chimney fires spread rapidly. That’s why an industrial strength fire extinguisher should part of every decor scheme. Fire extinguishers and other fireplace accessories can be found at toolhq.com.au. In short, before undertaking an installation or renovation, think about whether you want the fireplace for heat warming or aesthetic purposes. Consider whether you want to do it yourself or contract out the job and make sure the installation is up to code, and covered in your homeowners insurance. Knowing the answers to these questions in advance will mean a smoother installation and greater enjoyment from your fireplace system. Jay Preston is Author and Brand Manager at ToolHQ, Australia's premiere source for power tools. MAY I ALSO SUGGEST THESE IDEAS FOR YOUR FIREPLACE?